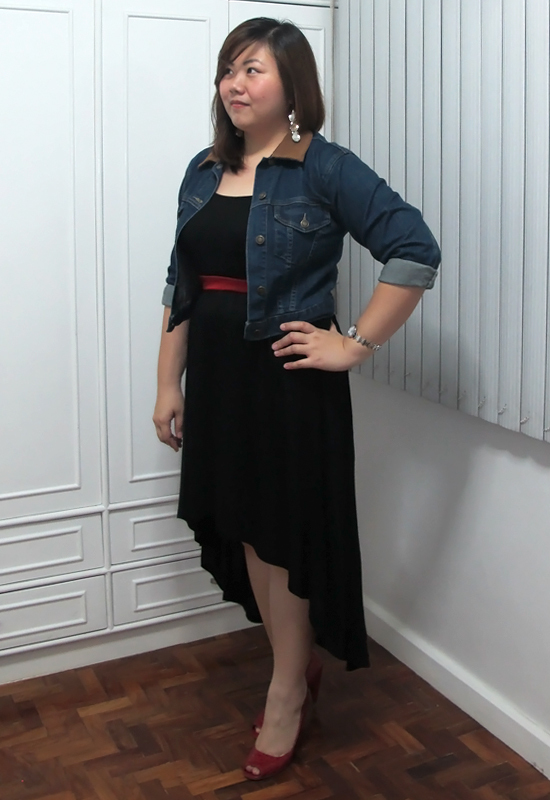 Since this is the year that I really started dressing up, there is no better time for me to wear my one and only high-low dress! This is a turning point for me. 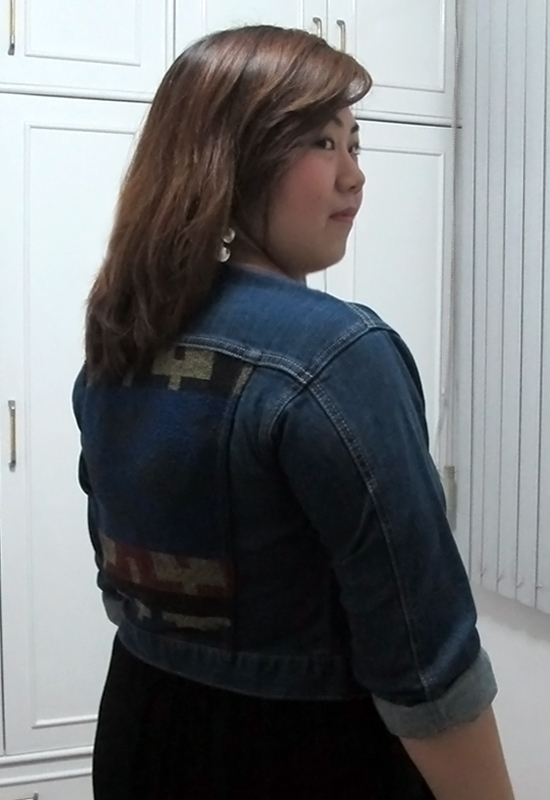 It's only this year that I finally owned a denim jacket, wore a trendy casual dress outside (I used to wear my lovely dresses inside my room, look at the mirror and then pack them all up again. ), and only this year that I finally got to a point of accepting my body and loving it as it is. I also got over the fear of people sniggering or laughing behind my back to sincerely accepting compliments and learning to appreciate my own kind of beauty. This blog was born out of a need to express myself, but also with the hopes that I will be a small inspiration to the other plus-sized ladies out there. Many of which are closet fashionistas, too afraid of what society will think that they cover themselves up in shame, disguised by layers of clothing or choose to dress others up to somehow express their secret stylish desires. I've been there for so many years and I've finally gotten out. I urge you to join me because it's so much brighter out here. The negative voices inside my head are so much quieter now. I realize how my own insecurities were crueler and stronger when I fed them with my fears and made-up worst-case scenarios. These days, they're nearly starving to death because I refuse to listen to them anymore. Instead, I look at the mirror and focus on the things I have been blessed with. It's still a learning process and sometimes it's still a struggle, but I'm getting there! Cheers to all the belated bloomers like me! 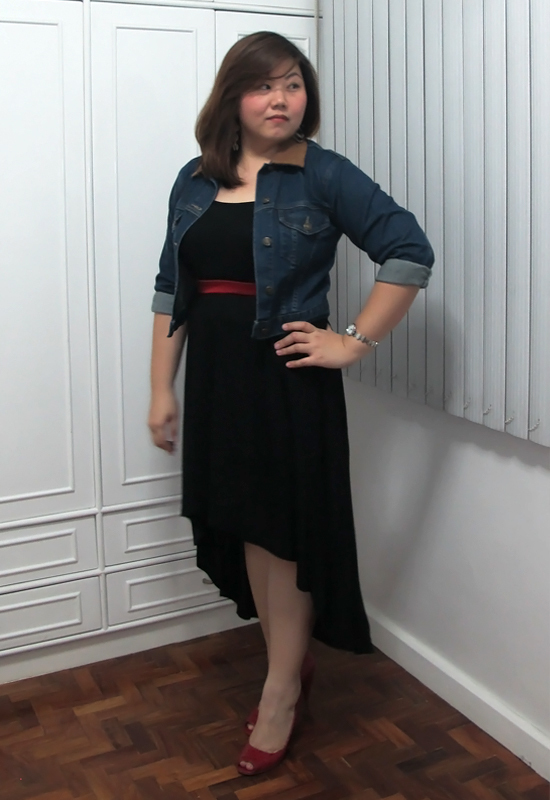 I love the hi lo dress and the denim jacket is fab! You have great style! Still trying things out. Thank you! This high-low dress is gorgeous, and so are you! Aww, you're sweet. Thanks Erin! Better late than never, right? Thank you! Thank you for your comment. I'm so in love with this high-low dress. In my last post I'm wearing a high-low lace skirt. I just love the high/low trend - and happy birthday girl! Beautiful sentiments! And I love your outfit! Happy Belated Birthday! love this ensemble.. i'm totally into the mullet trend.. and i've been trying to find the perfect denim jacket too..
Deng, hottie! You should've told us about this blog sooner so I could've drooled all over your new-found chic!